Making syrup is a labor of love. Every drop is crafted with care and effort. It's not easy to gather nature's sweetener. Days on end are spent climbing high into the mountains, sometimes through snow pack that reaches the waist, to care for the sugar grove that will give us the gift of it's sap. During sugar season the alarm often wakes the sleepy team at three or four in the morning as tanks fill rapidly with pure maple sap through the night. All day long and into the night the evaporator burns and the sweet smell of sugar fills the air. The sap that tasted slightly sweet as it began it's journey from the tree is transformed into the distinct and delicious taste of maple syrup. As travelers pass by the sugar house at night they will often see the wisps of steam rising through the lights that streams through our open cupola. After all the sap is boiled into syrup, the weary but satisfied sugar maker walks across the street to the big red house where he gratefully lies down to get a little sleep before another busy day begins. It's worth the labor and the long nights to produce a product so good that it brings delight to all who taste it. Try a little. We guarantee you'll love it. Proud members of N.Y. 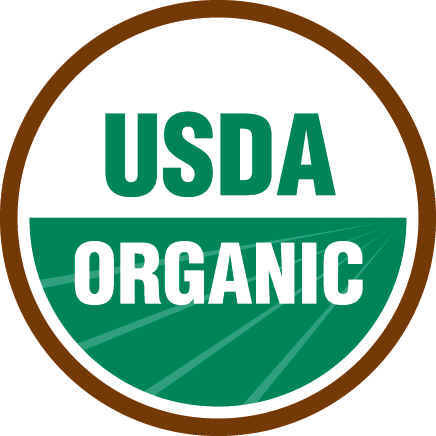 Grown & Certified and USDA Certified Organic. Quality sap starts with quality water. What a tree drinks has a lot to do with the type of sap it produces. Roxbury Mountain Maple is situated in an enclave of the NYC Watershed which produces some of the most pristine water in the world. The ph of the soil, the purity of the water, and the ideal climate for growing maple trees makes our valley perfect for producing the purest maple available. Each January we drill a small hole in each maple tree and gently tap in a spout that will carry the sap into the tubing system. This process is repeated about 25,000 times until all of our maple trees are tapped. The networks of tapped trees are connected by increasingly large tubing until the sap flows into an extractor at one of our pump stations. We utilize high vacuum pumps to create a path of least resistance to our holding tanks. Vacuum pumps increase our sap volume by 100%. The extractor separates the air that gets pulled in by the vacuum pump from the sap. Once the extractor tank is nearly full the sap trips a switch that activates a pump which sends the sap into a stainless steel holding tank. The reverse osmosis (RO) machine is a centerpiece in our sugaring operation. It takes sap from 2% sugar and brings it to 20% which dramatically increases operational efficiency and reduces costs and oil consumption. Our RO can process 4,800 gallons of sap in an hour. Once the RO is running we will soon fire up the evaporator. It utilizes many high tech energy systems to reduce energy consumption as it boils the sap, including air injectors, a preheater and steam away hood. By the time the sap leaves the finishing pan it's sugar concentration has increased from 20% to 66.5%. When the evaporator is running at full capacity it can generate up to three million BTUs enabling us to produce up to 120 gallons of syrup per hour. This is where the maple happens. You can see the steam rising from the cupola-someone is hard at work making nature's most amazing sweetener. Maple is categorized in five grades based on light transmittance: Golden, Amber, Dark and Very Dark and Processing. Each of the first four grades have equally high quality but their flavor profiles are distinct, ranging from golden's delicate sweetness to very dark's strong maple flavor. Once the syrup is filtered, tested, and graded we hot pack it into barrels where the syrup will stay fresh until we are ready to package it into smaller retail or wholesale containers. In addition to retail and wholesale packaging, we also offer maple cream, maple sugar, molded maple confections and other delectable maple products made from pure organic maple syrup. We sell our products at greenmarkets in New York City every week. You can also purchase on our amazon store and our growing list of specialty retail stores. And, of course, you can always visit us at our sugar house and we will give you a free tour so you can see our operation for yourself. We hope the efforts of our family brings you and your family delight and enjoyment.